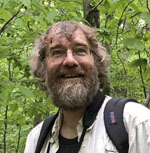 I teach ecology with a strong evolutionary perspective, an attempt to combine natural history with math, and an effort to work across traditional boundaries of taxonomy and biological organization. All of my courses highlight the dynamic nature of scientific knowledge and the processes through which ecology grows as a science. I emphasize the central role of theories in providing the logical structure of scientific knowledge and stress that the conception, testing, and refinement of theories are the most important activities in the growth of scientific knowledge. All of my courses attempt to engage students in the creative steps that underlie successful ecological research (e.g., conceiving interesting questions, formulating novel hypotheses, and designing simple, rigorous experiments). A commentary on the synergy between research and education. "It is a poor teacher who is not surpassed by the students."